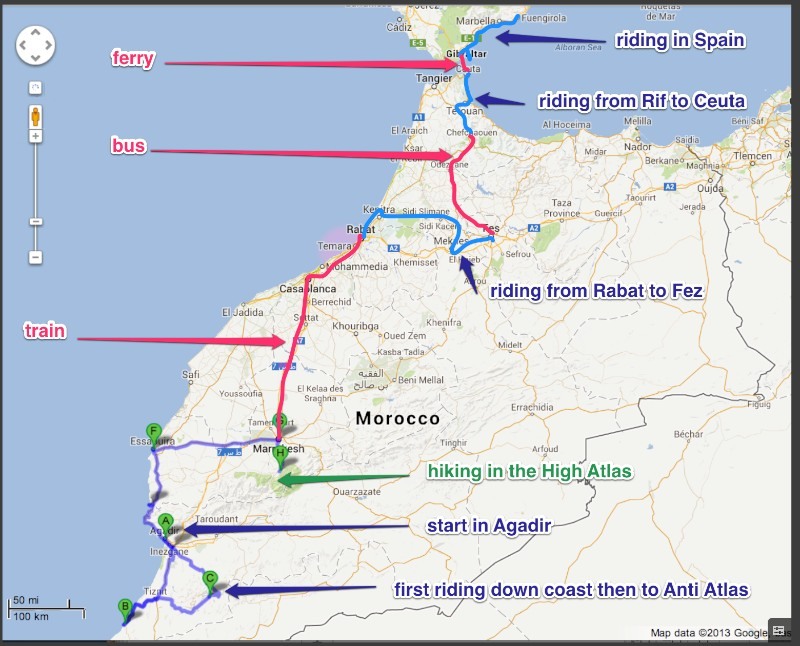 2013 Trip starting in Agadir, in Southern Morocco and seeing what happened. 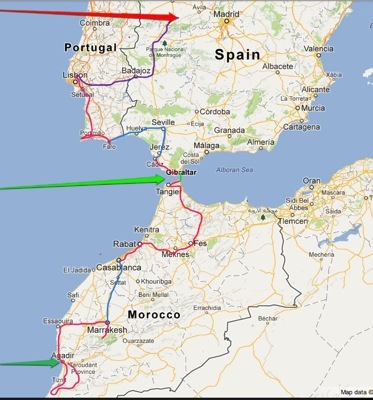 The top map is our actual trip with the purple or blue showing the cycling which was only 2,000 km. Above there are menu options for riding summary etc. Below is our rough plan before we left. The pink is a possible cycle route. 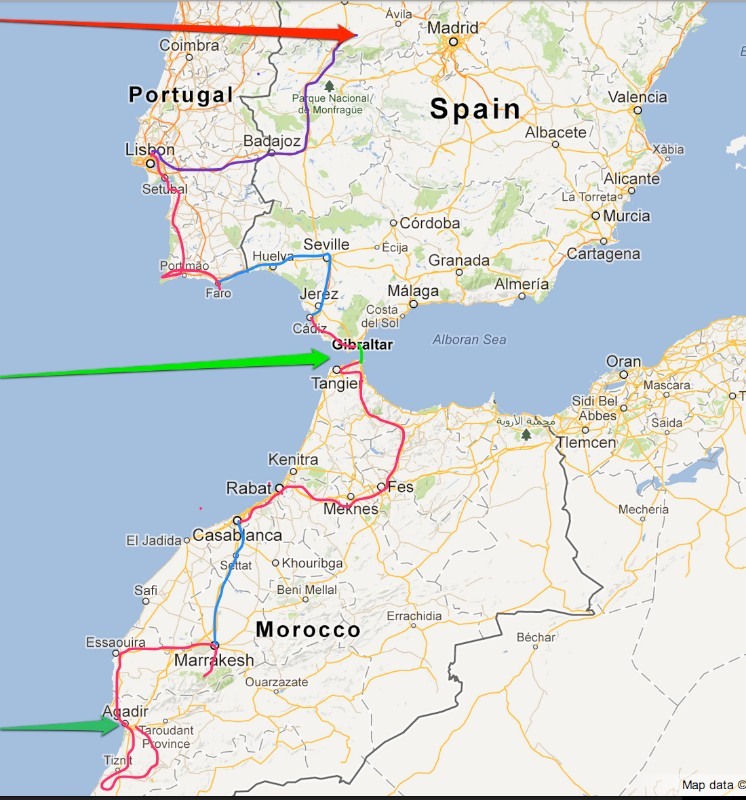 The red arrow points to Piedrahita where we have a week from 2nd t0 9th June and Gary will be paragliding there. We will then probably fly back to Stuttgart before flying home on 19th June.